ah, k dude. 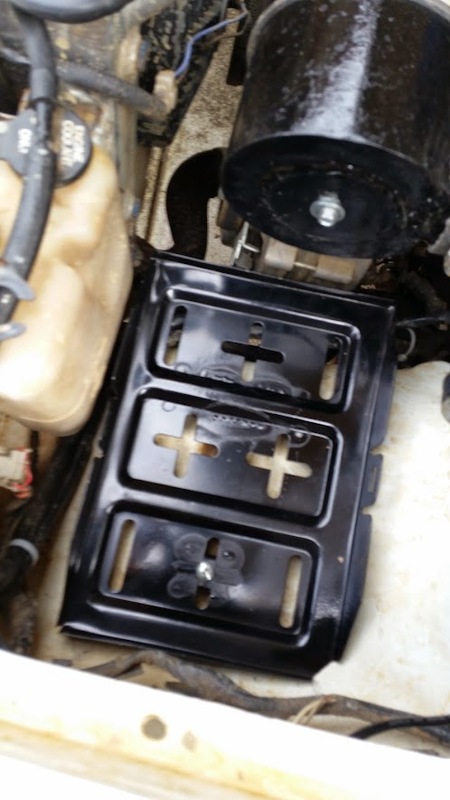 dude isnt the inlet manifold is different for the vn v8 vs the early 308s .... or so i understand .... they sell these as different manifolds? please tell me i am wrong so i can go and buy a 308 inlet manifold and piss off the bunch of bandanas? 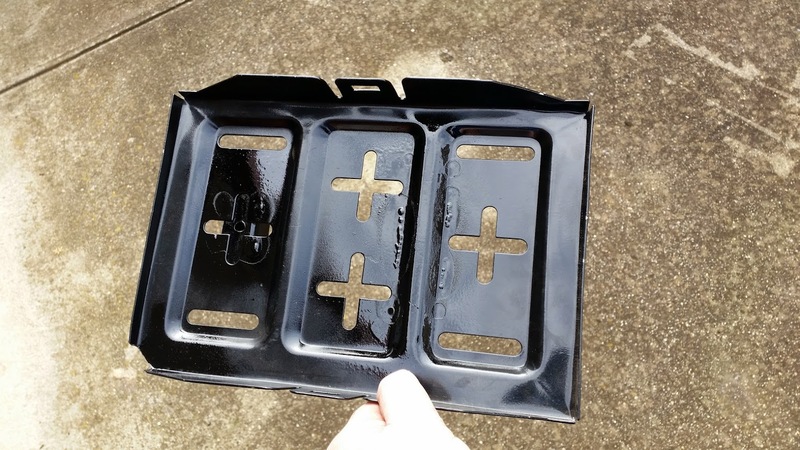 OK here's a carburetted manifold for EFI heads but to run infectors you will have to get the holes drilled for them..
yeah, thats not too bad.....remember you also need mounts for your fuel rails - i don't see anything on there for those. How are your luxxy's going for cooling temps.. Im still having a few issues with mine. Will idle all day long and not get hot and its fine just putting around at 50-60 kmh. on the highway though at 100-110 it goes great for about 10 km then gets hot.. its got a 3 core 75mm thick ali radiator in it and a 3500 cfm thermo fan..
could it be an airflow issue from spotlights on the front bar? or timing? its running around 10-12 degrees adv. at idle..
the waterpump was replaced not long before I took the motor out of the stato..
hey bud. duck doesn't seem to have any issues with his. i'll let him talk to that though. he has a 75 series cruiser radiator in his with 4 cores and the stock GM engine fan. dunno about thermos though. duck? mine, is petunia. i cooked it - i have two thermos in push pull ie: front back. had it idling in the driveway for a while, and, it cooked the thermo fan fuses, they stopped, it sat there and overheated. once it cooled down i put water back in it, it fired up straight away, problem is now i use 1 litre of oil for every 100km. cooling wise, now its winter, mine is fine. i had it on the freeway up to daylesford last weekend, and, at 110KMH all the way there, it sat on 80 degrees. no issues. both fans going etc. needless to say it was about 10 degrees outside, and got colder as we got closer to daylesford. i have a 72 degree thermostat in mine now, i put it in, when it was summer, but, still saw temps climbing up quite a bit. i don't think that has helped a great deal, will have to wait for summer. 1. i do not know if i have a virgin bore OR if my thing is 20, 30, 40, 60 thou over. if its 60 thou over i am petunia i will never fix this problem until the engine is replaced, ie: bores are too thin. 2. RPM. notice that all the holden burnout cars have problems with overheating, unless they pile ONE MILLION DOLLARS into their cooling system - they see high RPM. with 31's and 110KMH my thing is sitting on 3000rpm. holden v8 redline is ~5500rpm. you're staying in prolonged high RPM for a long period of time. this is putting extra strain on the cooling system which is effectively 'stock'. 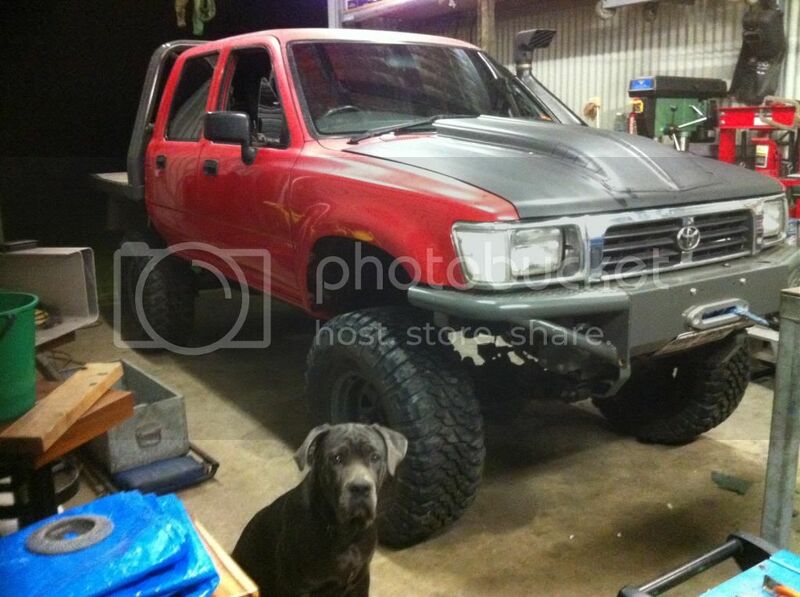 33's will bring the RPM down and help then also will taller? gearing. if i can get my 4.88s down to 3.7 with the 31's i reckon i will be better off. part of this problem seems to be the higher RPM....ie; you can idle all day long with no problem right. see the logic? 3. airflow. i don't have lights on mine at the moment. i tried removing them. didn't do floral. the area for air to get across your radiator is fuschia all, however, not convinced this is the issue. i think the issue is the air once pushed into the engine bay, can't escape, and is heating up. couple of ideas.....seen the boy racers with their ae86s and s13s jacking up the back of the bonnet for that fulleee hektik look, reckon if the air could escape possibly thru a 1" space at the back of the bonnet (yes near the screen) this might help? further, there was a dude on here who had a reverse bonnet scoop on his which looked bloody awesome this might also be a good idea. 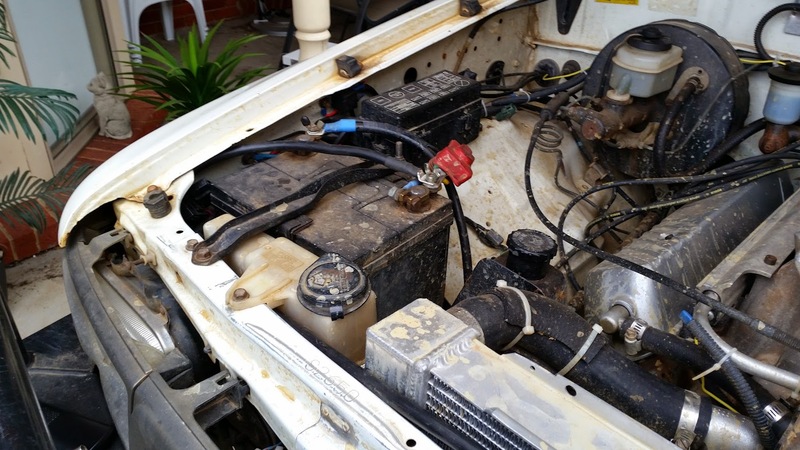 -remove engine (its petunia anyway so this is on the cards) and ensure it is tops only 20 over. RPM should be about 500rpm on the freeway at 300kmh, will never ever overheat, might take me 5 hours to get there. ah yep, yeah I'm running 33's and 4.33 gears so its only doing around 2000-2200 at 110. I have a 2" bodylift whether that would help air flow or not I don't know. my engine only had 290k on it but it was an ex government charter vehicle. I might try the gap under the bonnet trick and a different thermostat too. ah ok. and you are still getting hot on lower RPM. wow. get a hotter thermostat ie: keep the water IN the radiator longer to let it cool more before the thermostat opens up. 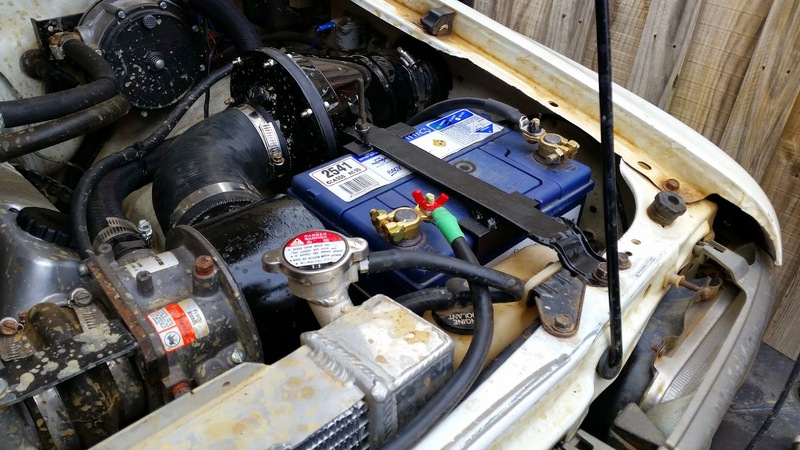 The old Holden V8's ran the short neck water pump but in saying that they also use a long spacer between the pulley face & fan so the fan doesn't obstruct on engine belts etc. So using a short neck WP wont give you much more room & pump less water! thanks duck. yep going to go back to that thermostat. also picked up a 38mm in line hose sender adaptor to put in the bottom radiator hose. also fitted the o2 sensor, i have had it for years and years with a haltech o2 meter, its a HEGO so has voltage to it which the haltech watches and tells you a reading. had a crazy thought of putting the fuel injection back but, leaving the injectors out and still using the LPG instead of injected fuel.......means removing the dizzy which will be a saga and setting that up right also. in all the overheating issues, alot point to timing. noticed? oh and i might not be burning that much oil, it seems i have an oil leak, mustnt have tightened the filter enough when i changed it, leaking from there. well the 100A alternator went in today, no real fuss, enlarged the hole on the alternator bracket for m10 bolt got rid of the external regulator, happy days. gotta say with the twin batteries and the snorkel now pointed round the right way this thing is powering along. the bosch alternator has one connection for battery to alternator.